A small collection of weird dental things I have come across. Image of tooth that had grown into a man’s nostril and was causing congestion and bleeding. 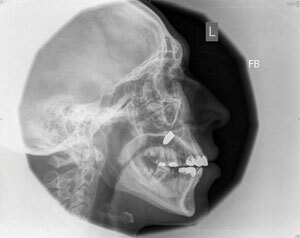 This patient had her dentistry done in Eastern Europe many years ago. She mentioned that occasionally she had some bleeding around the bridge. 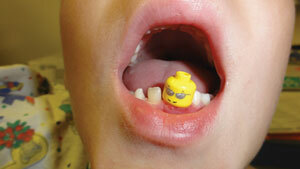 Ultimately, she decided to have her mouth restored and the bridge was removed to prepare her for orthodontic treatment. The image below is the prep under the bridge. It is entirely covered by a thin layer of highly vascular tissue, which crept under the very wide-open margins of the bridge. The groove down the center of the tissue on the facial is from the bur used to remove the bridge. 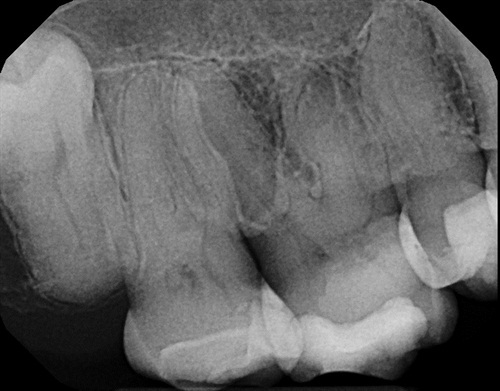 Bone has completely resorbed the inner portion of this tooth and filled it in!